Itens Inclusos: 1 unidade: Licença digital do compilador mikroPascal PRO for AVR (Sempre última versão. Licença enviada por E-mail). Observação: A licença do software Visual TFT é comercializada separadamente e NÃO está incluso neste produto. Somos distribuidores exclusivos no Brasil da MikroElektronika (desenvolvedora do software). 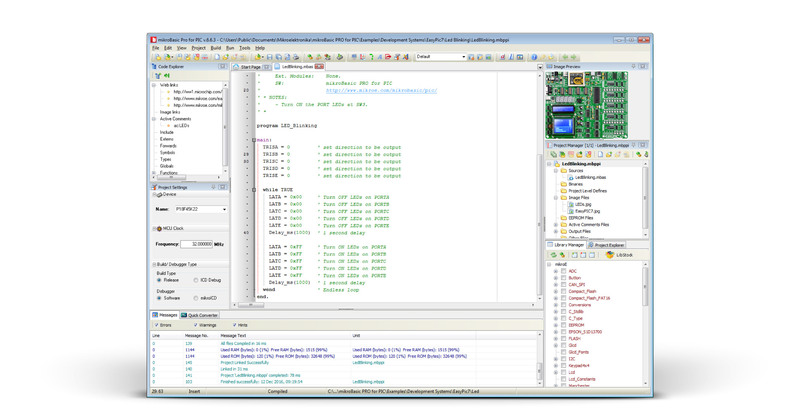 mikroPascal PRO for AVR is a full-featured Pascal compiler for AVR devices. The feature rich environment you can experience today is the result of 15 years of dedicated work and steady progress. 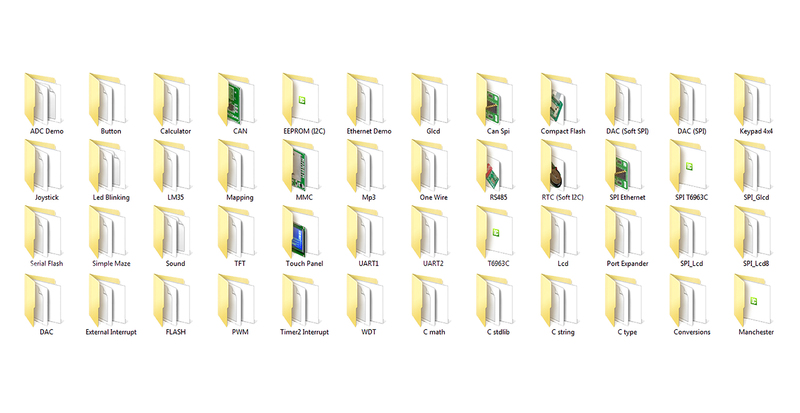 The ever-increasing number of hardware and software libraries, intuitive IDE, integrated Visual TFT software, detailed documentation, a full box of additional tools. mikroPascal PRO for AVR has two licensing options available: the License Code and the USB Dongle License. Just choose the license type in the top right part of the page. We also offer the Site License, if you run a two-person team, a whole R&D department, or teach a class, the Site License is the best choice. It allows you to own, manage and deploy multiple single licenses. Discover new heights of personal efficiency, a full-featured Basic compiler available for seven different microcontroller architectures. 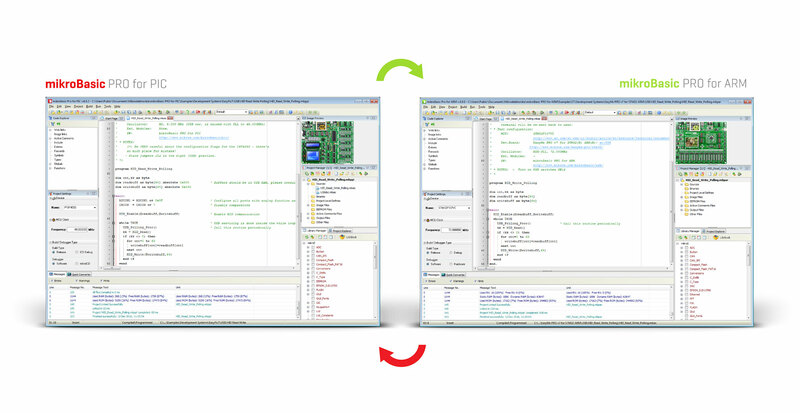 mikroE has native support for mikroICD™ – hardware step-by-step In-Circuit Debugger when used with fast USB 2.0 mikroProg™ programmer (in both on-board and standalone version). mikroICD™ is a separate DLL module which supports Step-over [F8], Step-into[F7], Step-out[Ctrl+F8], Run[F6], Run To Cursor[F4] debugging operations. Also, debugger supports standard and advanced breakpoints, which enable you to achieve the full potential of fast debugging. 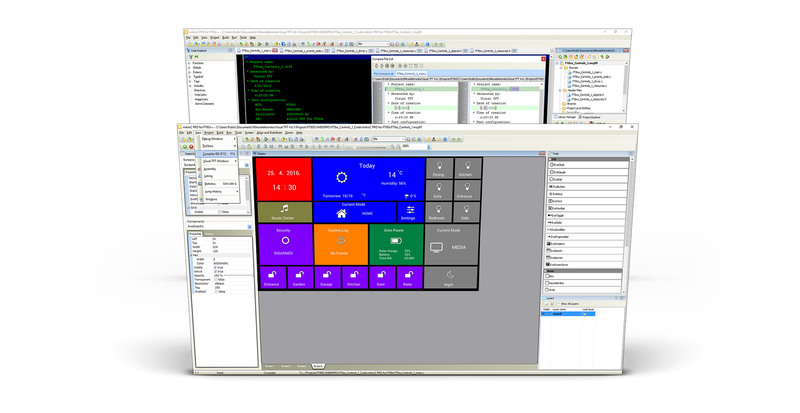 Starting from 2016, the mikroE IDE includes Visual TFT – a what-you-see-is-what-you-get graphical user interface design tool. The integrated solution allows for a streamlined workflow. 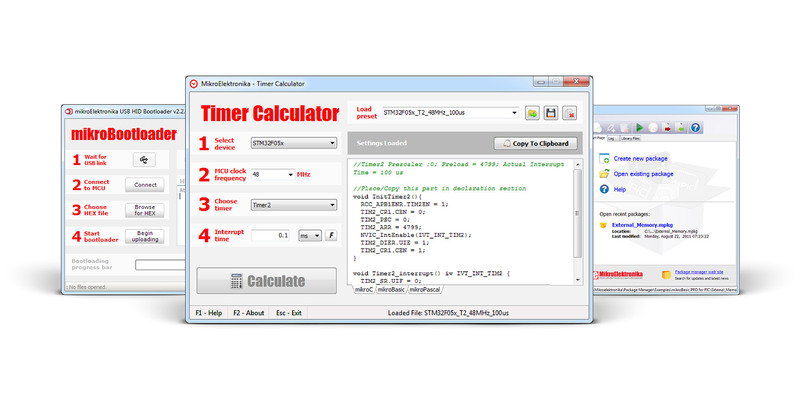 To use your mikroE IDE with the GUI builder, you will need to acquire a Visual TFT license separately. With mikroE you can easily port your code from one architecture to another. This gives you an enormous advantage of being flexible to choose the architecture for your next project. 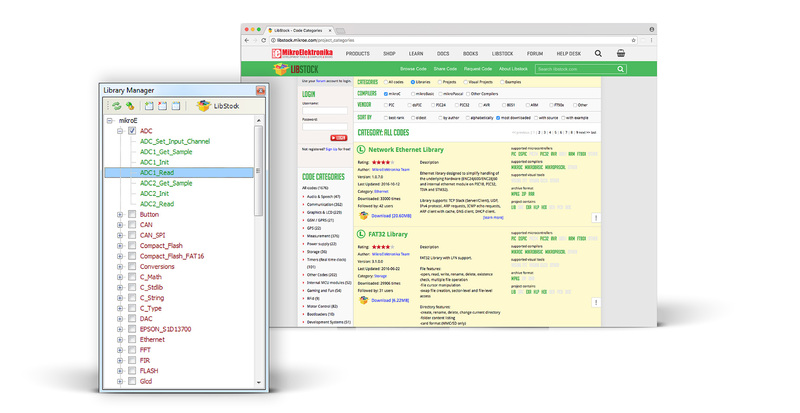 Every mikroE features the same IDE and Integrated Tools. mikroE offers a unique mechanism to easily use libraries in your project: Click on the checkboxes of the libraries you need and they will be instantly available in your code. No need for dozens of #include directives. You can also install and manage third-party libraries using our package manager and library manager. Saving programmer’s time is our top priority. This is why mikroE comes with a with fully-functional software tools that can boost your productivity. mikroE comes with a comprehensive and easy to use help file. Additional Language reference, and Creating The First Project manuals are a perfect place for your first steps in mikroE. Simply follow step-by step instructions. Dozens delivered with the compiler, hundreds more on Libstock. mikroE features dozens of examples demonstrating each library and certain internal microcontroller features. Together with free examples provided on Libstock, developers have ready-to-use building blocks for their next big project. The place where you spend your workday. mikroE is all about time-saving solutions. There is no need to set configuration bits each time you start a new project. The Edit Project menu gives you a full overview of the entire set of configuration bits in each chip. It’s done in a way that leaves no room for error. Select only among listed options, described in plain English. Edit project includes predefined schemes of oscillator settings for most widely used microcontrollers. Simply load your desired scheme and you are ready to go.